Desert West Auction is kicking off their 2018 with 230+ lots soaring through the auction block on Sunday February 18th, 2018. 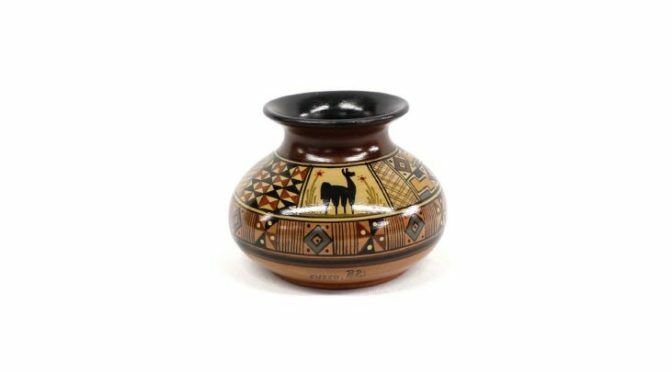 There is a selection of Native American pottery, kachinas, jewelry, baskets and artwork. Navajo rugs are up for auction as well as a fine array of collectibles, coins, glass, and artwork from New Mexico. 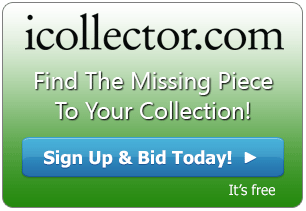 Everything will be up for auction to a live crowd and online bidders from around the world. There are low opening bids and no reserves ensuring everyone gets a deal. Lot 2100 is a beautiful bowl that is featured in the online catalog. This is a 1997 Taos Micaceous Clay Pottery Bowl by Margaret Trujillo. It measures 5.25” by 10.25” and is signed by the artist. The artist won several awards for her pottery and she created striking micaceous pottery using strong simple forms enhances by fire clouds. Helm has carefully photographed this beautiful bowl for online viewing. A Native American Hopi Kachina by artist Roanna Jackson hits the auction block at Lot 2138. This is also described as “Wuyak-ku-Ha” and measures 9/25” by 4.25” and is 4” deep. Signed by the artist this opens for only $60 and is a fantastic value. Lot 2150 is another featured Hopi Kachina by the artist Bryson Huma of the 2nd Mesa Waterfall Clan. Entitled “Kachina Maiden”, this measures 9 inches by 3 inches by 3 inches. This piece has spectacular detail in the painting and carving and is signed by the artist. This opens for an incredible $150 and both pieces have photos in the online catalog. Bidders of fine pottery should check out Lot 2223. This is a fine ceremonial marbleized pottery vase that is sure to wow the eyes. This was purchased in South Korea and is now up for auction with stunning colors. It measures 8 inches by 14 inches and is looking to hammer down quickly. The live auction begins at 1PM on auction day. Desert West Auction is happy to answer any questions by email or telephone. All questions should be made at least 24 hours before the beginning of the sale to ensure a great response. Registration online is simple and takes only a moment, and bidders are encouraged to register as early as possible.